Crunchyroll faces angry customers over reduced bitrate – R/ANN! Some anime fans noticed a drop in quality for a day when AlyoshaV brought up damning examples of it in his post. 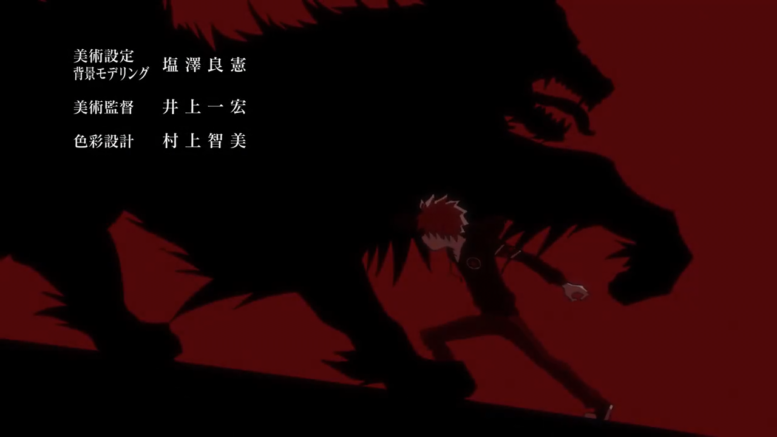 Comparing the quality of the same moment in Rewrite’s episode 21 and 22 there was a visible loss to be seen. Daiz provided the images on a image compassion site to illustrate the point. Massive response by the community ensued, easily breaking five thousand upvotes and more than 1400 mostly upset comments. While some users denounced the visibility of the changes, the broad majority was displeased with the drop in quality as Crunchyroll already had one of the lower bitrates in the industry. According to Daiz Crunchyroll didn’t update their video encoding settings since December 2011 until this recent downgrade. TheDerped reminded us about an unconfirmed post by a throwaway account about the lay-offs at Crunchyroll. Crunchyroll PR person on reddit, MilesExpress999, entered the thread as it was blowing up. While he earned some respect for listening and replying to people, he also stepped into an uncomfortable position when he reflected from the actual problem by grinding on pirates. Crunchyroll user bVork looked into older Crunchyroll videos and noticed that it usually swaps out encodes after a week, though the drop is not as big as the recent one. In the early hours of Sunday users noticed some changes back to the old encodes, but only with the most recent episodes of currently airing anime. There is still speculation if this is a band-aid or the beginning of a complete re roll. Update 13.03.2017 – Daiz released an exhaustive article about the topic, explaining both the situation and the technicalities behind it. Update 14.03.2017 – shinryou on Crunchyroll stated in a forum post that it was “not intentional” and that it “has been addressed in the meantime”. Though an official statement outside of a small post in the forum is still missing. Update 14.03.2017 – MilesExpress999 asked people to look out for a statement both on Twitter and on Reddit. Update 14.03.2017 – According to Daiz Crunchyroll raised the time until the quality lowers to two days. Still no statement. Update 14.03.2017 – herkz and MilesExpress999 got into a twitter argument. Miles continues to comment on Reddit that people should wait for the official response. Update 15.03.2017 – Crunchyroll released a statement in their forums, telling their users that they made a mistake testing their new infrastructure, claiming that this is not actually a downgrade, but the beginning of an upgrade. Crunchyroll also promised a more elaborated blog post. Crunchyroll is always working towards serving the highest possible video quality to our users. To keep up with our growing audience and the many ways people are consuming anime, we’ve been working on a new infrastructure to better support the viewing experience. Last weekend, new episodes were released through the new infrastructure to test the system’s ability to serve video to large portions of the Crunchyroll audience. The encodes that some users experienced were not up to the standards of our previous system, nor up to the standards we demand from ourselves. While we had previously identified issues with the encodes, solutions for a broad rollout require us to first move completely to the new infrastructure. Going forward, you will see that we have updated the video experience for simulcasts and new episodes within the new infrastructure. This means you will experience an improved encode for future releases on the new infrastructure, which will no longer use the lower quality encodes after any amount of time. For anyone who wants further technical detail on our encodes, our engineers will be releasing a blog post shortly. As the transition to this new infrastructure is complete, we will re-encode all of our catalog with this higher quality. Please know that it will never be Crunchyroll’s intention to lessen the viewing experience. In cases like this we’re grateful users reached out to us and provided feedback about the issue. We appreciate the patience with our efforts and will continue working to bring an improved viewing experience across Crunchyroll. Though doubts still hangs in the air as users like Auracity note that Crunchyroll were promising improvement for years and other inconsistencies in what went down. Initially the official statement left out the worse encode after 48 hours, but addressed it in an edit. Update 16.03.2017 – Ellation made the promised blog post, apologizing for the mistake and detailing how the quality is going to be raised. Update 16.03.2017 – joletb elaborates why the new settings are still not well. 2 Comments on "Crunchyroll faces angry customers over reduced bitrate"
Seems like the RSS recipe I made is working. By the way, I forgot to mention that I am also posting the articles on /r/annexclamationmark. So if you only want the News Flashes, you can probably apply your script there.